Follow in the footsteps of artists like Rudimental, Beyonce and Kanye West by making music in the inspirational setting of Peter Gabriel’s Real World Studios in Wiltshire. World-leading artists choose the creative freedom of recording in its natural environment of light and water, which is far removed from the confines of inner-city recording studios. The studios are located in a two hundred year old water mill surrounded by stunning countryside. 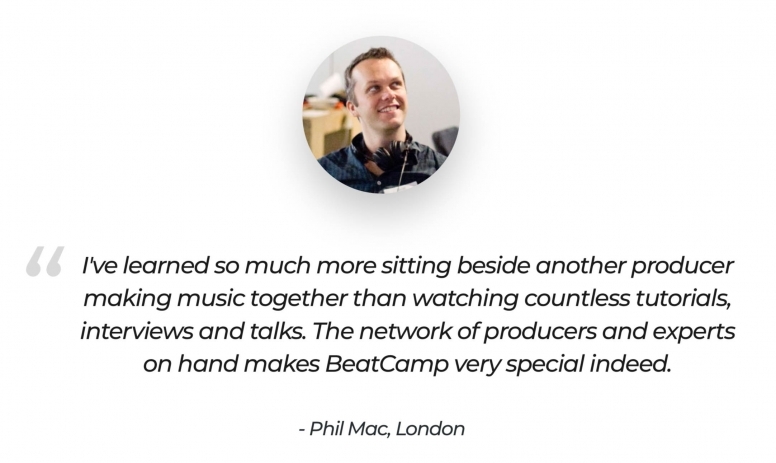 During this 3-day residential experience, you’ll be paired up with another music maker and briefed with creating a track together. Working like this, you'll push your creativity to max, produce unique music and make a host of new friends. At the end of the camp, the finished tracks will be released as an album on iTunes, mastered and published by Real World Music. You'll have access to professional session musicians and singers, personal help from legendary music producers and the opportunity to hear your mixes through Peter Gabriel's famous SSL 9000 XL K console and custom Exigy monitors. A team of music legends will be on hand to help you one-to-one with your music over the weekend. As Head Engineer at Real World Studios, Oli has worked on music for The Vamps, Erland Cooper, Hannah Peel, Tom Jones and Peter Gabriel. He has also undertaken TV work for Volvo, Nokia and Disney/ABC. With over 35 years of recording experience, Tim has worked with a huge array of artists such as U2, Goldfrapp, Ludovico Einaudi, The Happy Mondays, M-People, The B-52's and Sinead 'O Connor. At the cutting edge of house music, James produces and mixes for Toolroom, Defected, Spinnin and Armada. His productions with Mark Knight and Prok & Fitch have been played on Radio 1 and at Ultra Festival. He's remixed for Christina Aguilera, Robbie Williams, Nile Rogers and Robin Thicke and composed TV ads for brands like Deliveroo. AD is the vocalist and writer for Electro-Swing band Swingers who have headlined Glastonbury, Boomtown, WOMAD & The Isle of Wight Festival. He's also produced music for Sky News and the Discovery Channel as well as Heston Blumenthal's infamous Fat Duck restaurant. AD has also toured round the world with the frontman of 80's legends Ultravox and Visage. Real World has an on-site French chef providing full-board catering over the weekend. Accomodation is available in single or shared rooms at the studios or nearby in the beautiful village of Box. It's not all work, work, work! You'll enjoy relaxing meals together and a host of social activities like a live jam & party, music quiz and inspiring film night. I agree to share my email to receive further details on this event. I'd like receive updates about other upcoming Beatcamps and coaching to improve my music. We help music makers across the world to achieve their true potential by creating music together. We've gained support from Native Instruments, Focusrite Novation, Notting Hill Music and Axwell's Axtone Records to name but a few. Our unique collaborative workshops fly in the face of traditional musical education by getting you creating at your peak whilst having the time of your life.